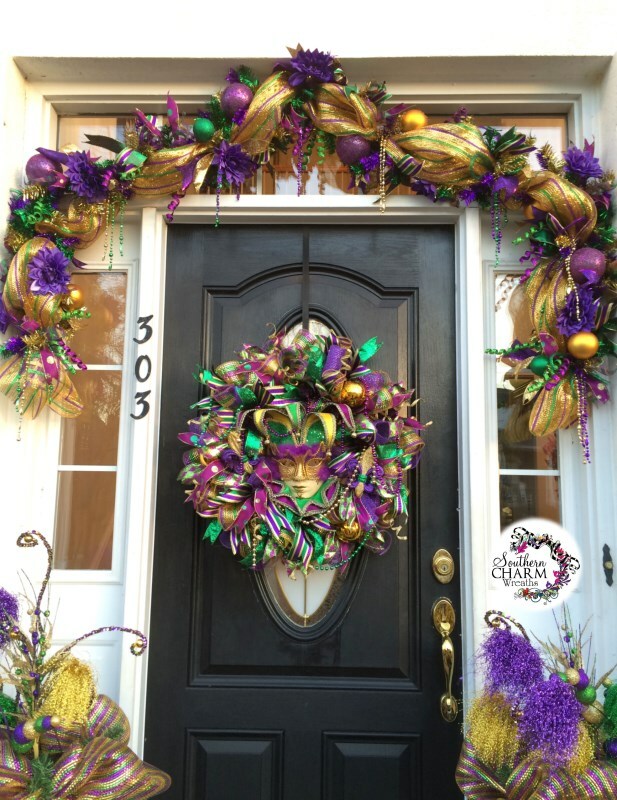 NOW YOU can SAVE MONEY and EASILY make a Professional Deco Mesh Mardi Gras GARLAND! 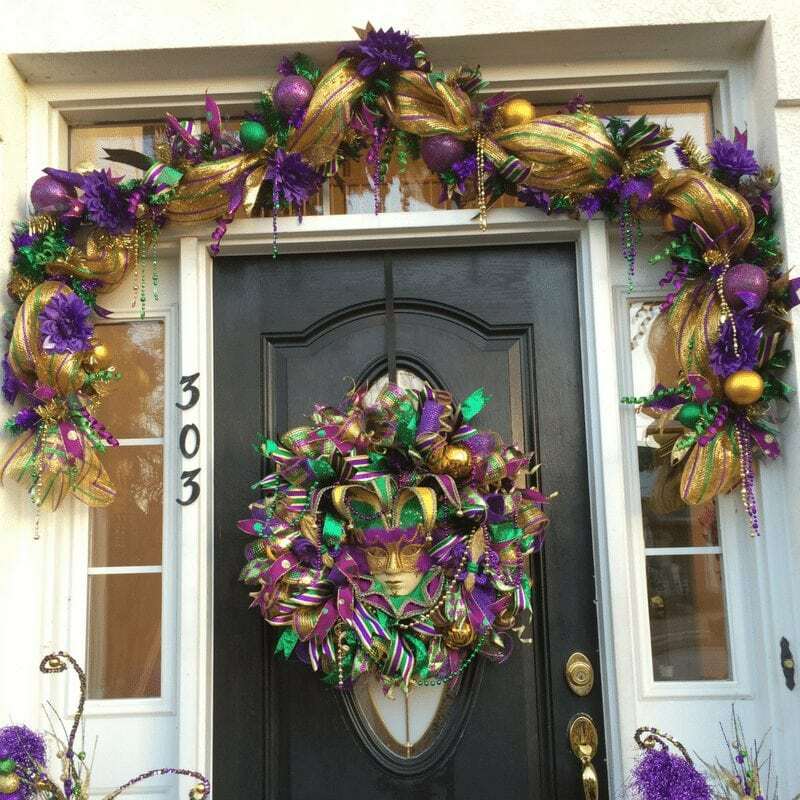 * 90 min video showing detailed instructions how to make a Stunning Mardi Gras GARLAND! * Secret tips to give your GARLAND that designer, eye catching look – that “Wow” factor! * How to cut and add Deco Mesh and Wired Ribbon to your GARLAND. * How to attach wire to ornaments and insert into your GARLAND so they won’t fall off. * How to save money on silk flowers and how to wire them into your GARLAND. * Downloadable list of supplies and where I purchased to make this GARLAND. 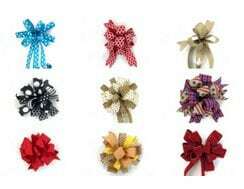 * You can display your GARLAND for many Carnival Seasons! 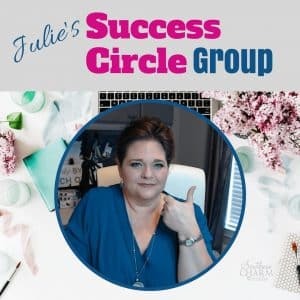 Why learn from Julie Siomacco? 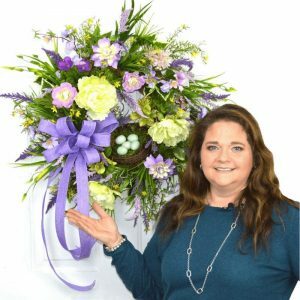 Julie Siomacco is owner of SouthernCharmWreaths.com and considered one of THE leading designers in wreath design. 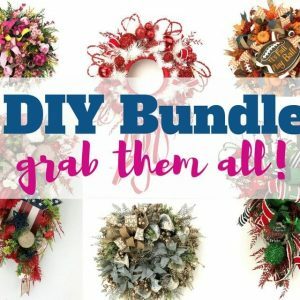 She has been making and selling wreaths and decorations for over ten years. 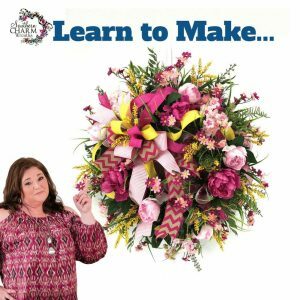 Her goal is to share her God given talents and to teach others how to make their own designer quality wreaths so she also produces e-books and tutorials like this, teaching the art of wreath making. She has held nothing back in the making of this video and her techniques are easy for all to understand! HERE IS A “SNEAK PEEK” FROM THIS 90 MINUTE VIDEO TUTORIAL! IT IS FILLED WITH CREATIVE IDEAS, DETAILED INSTRUCTIONS, AND CLOSE-UP SHOTS OF EACH AND EVERY STEP JUST FOR YOU! I DON’T LEAVE OUT A SINGLE STEP! THIS IS EXACTLY HOW I MAKE MY OWN DECO MESH MARDI GRAS GARLANDS! but you will SAVE MONEY BY MAKING IT YOURSELF! I GUARANTEE YOU CAN MAKE THIS! This video is of excellent quality and the information you receive is filled with my very best ideas! Unfortunately, a DVD is not available.